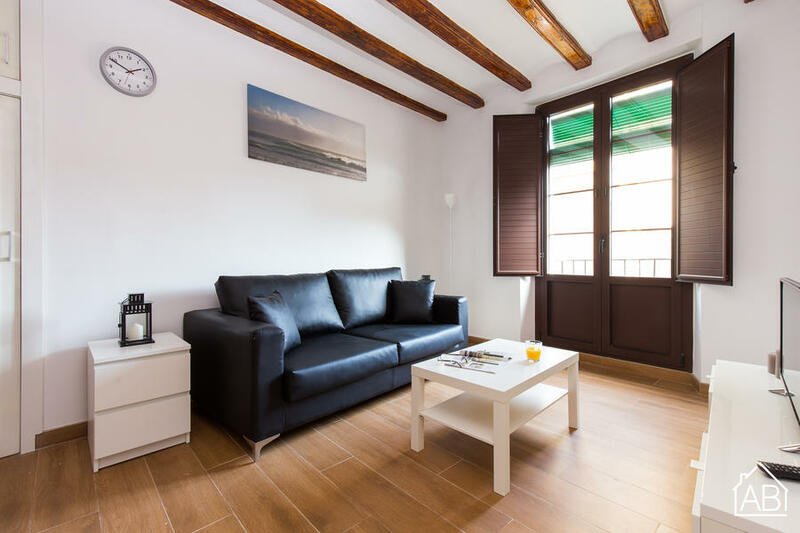 Situated less than 30 seconds away from the picturesque Basilica de Santa Maria del Mar, this homely apartment offers guests the chance to live in one of the prettiest neighbourhoods of the city, and stay well-connected during their stay in the Catalan capital. It is just 3 minutes away from the nearest metro. The apartment sleeps up to four people across two bedrooms with one double bed and two single beds. It has a comfortable dining area and a great living room space with a sofa and TV. There is one bathroom in the apartment. El Born is known for its picturesque alleys and intimate passageways dotted with hidden restaurants and one-of-a kind boutiques, and is the perfect place for those that want to immerse themselves in the city´s rich historical past, as well as enjoy its bustling and vibrant present.